If you’re preparing for a move, you may think it’s easiest to simply hire a professional moving company to take care of it for you. However, the experts at MovingAddresses.org beg residents to think twice before hiring expensive companies to help them with their moves. The team has five solid reasons why these movers are overrated, and you probably don’t need to hire them. Here are the reasons you should reconsider calling a local moving company when you’re planning your next move. #1 You may be able to ask your friends and family members for help. Friends and family are always there to help you out. You’ve probably helped one or two of them with their own moves, so asking for a favor isn’t irrational. By gathering together just a few strong friends and family members, you can get everything moved into your new location in no time. The team at MovingAddresses.org recommends making the move as easy as possible for your generous volunteers. Get all your items packed and secured in boxes before your helpers show up so they aren’t waiting around for you to get organized. Know exactly where you want everything to go at the new location and communicate effectively so your volunteers don’t have to move heavy items multiple times. #2 Movers may charge you for a full day. If you don’t have a lot of things to move and you think it can be done in one truckload, you should reconsider calling a moving company. These companies often have you sign a contract that outlines a minimum charge for the day. Oftentimes, these companies are charging for an entire day of work for all the movers involved, even if they complete your move in two hours. The experts at MovingAddresses.org encourage you to read through the fine print of the moving company contract for any fees or minimum charges before signing anything, or forego your involvement with the company, altogether. #3 Renting a truck is cheaper. Residents who are moving in a pinch may turn to a moving company out of desperation. However, most rentable moving trucks are available last minute, especially if you live in a populated area with several truck rental company choices. Renting a truck and recruiting the free services of your friends and family members can save you exponentially on Moving Day. The group at MovingAddresses.org recommends shopping around for the best rented truck price, and choosing a location that charges by the hour, so you don’t pay for a full day if it isn’t needed. You can usually rent a truck that’s comparable in size to a professional moving company’s box truck, allowing for less trips. #4 You can keep full control over your belongings. It can be scary to allow complete strangers to handle your personal belongings and keepsakes. Professional movers just want to get the job done and are usually in a hurry to complete your move as quick as they can. This can make them more careless and likelier to accidentally drop or damage your things. If you opt to stay in control of your move, you can put trust in your friends and family members to carefully handle your items and keep them in good condition. 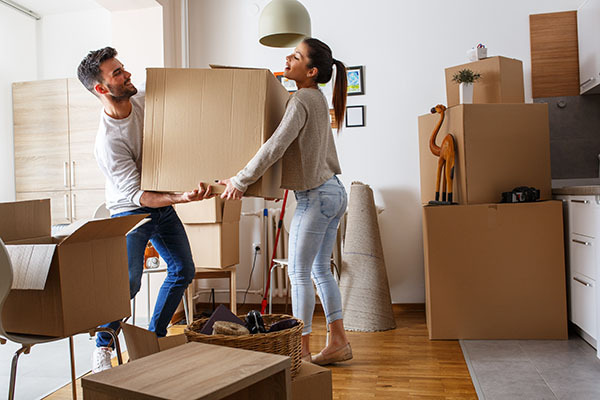 According to the team of experts at MovingAddresses.org, even if you’re allowing friends and family to help with your move, fragile items should still be packaged properly and securely to prevent any accidents from occurring. #5 You may feel obligated to leave a hefty tip for movers. If you’re a stickler for good etiquette, you probably already know that it’s customary to tip your professional movers when they’re done. Depending on the number of professionals who assisted with your move, this tip can become quite an added expense. On the other hand, if you opt to use friends and family members as your volunteer movers instead, your only labor expense for the day will be to provide drinks and a good meal for all your helpers.